I have no idea how hubby spotted this Bobtail skink just off the side of the road. 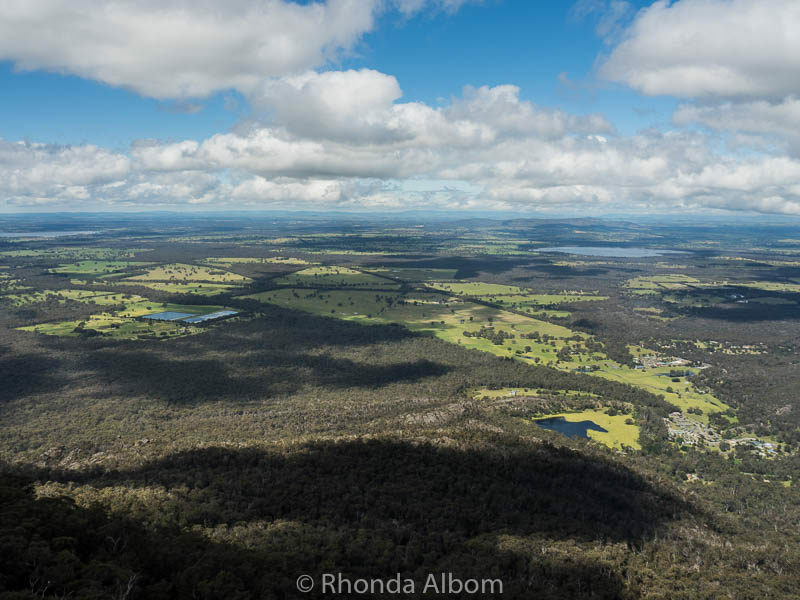 Boroka Lookout in the Grampians offers 180-degree views of Halls Gap and Lake Bellfield in Western Victoria. To get there, we drove up the aptly named Mt. Difficult Road. Another view from Boroka Lookout. 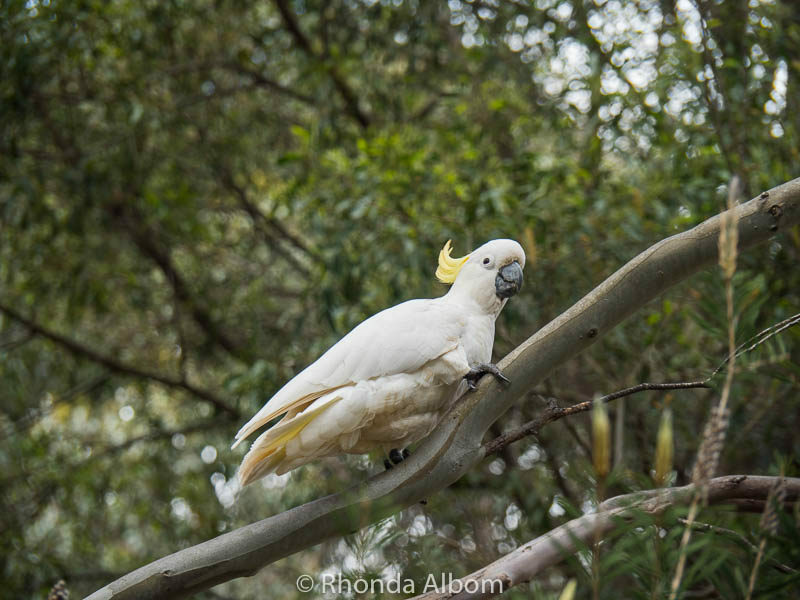 A Sulphur Crested Cockatoo in Brambuk Cultural Center in Halls Gap. This is Broken Falls. One can take a long and impressive hike to get here, or drive to the nearby carpark. 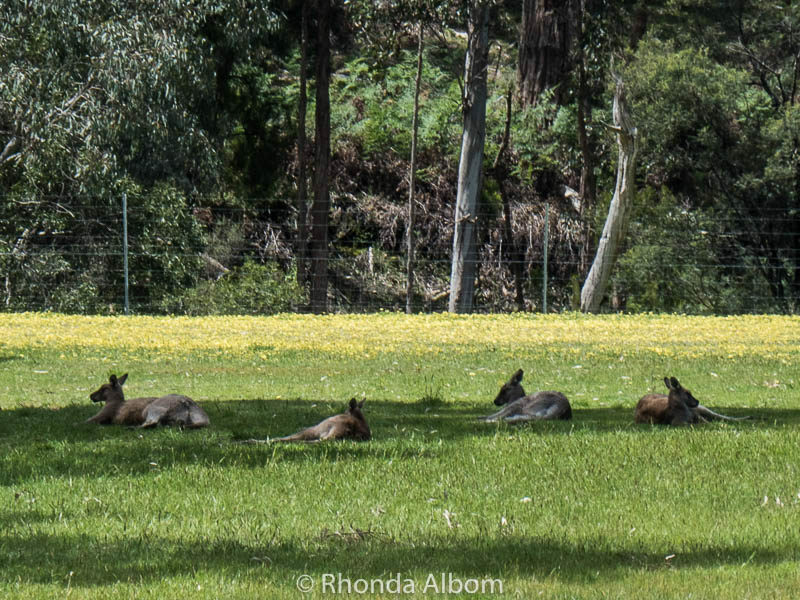 Kangaroos lounging in the sun, seen in the field from the back deck of our hotel room. 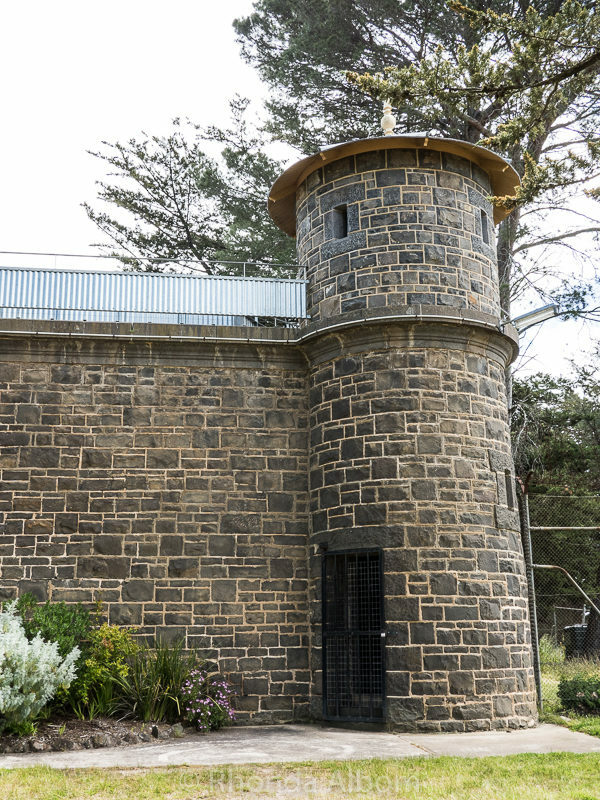 As we drove through Ararat, we stopped for a tour of J-Ward, a former lunatic asylum for the criminally insane. 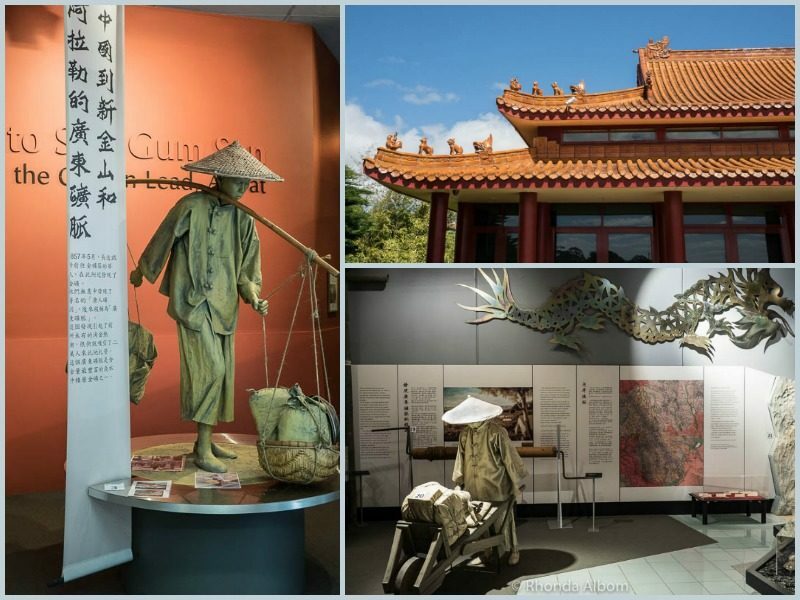 Also located in Ararat, and worth a visit is the Gum San Chinese Heritage Centre highlighting the incredible history and difficulty of the Chinese immigrants who came to work in the gold fields. Aww. We had to stop to enjoy these ducks and ducklings. 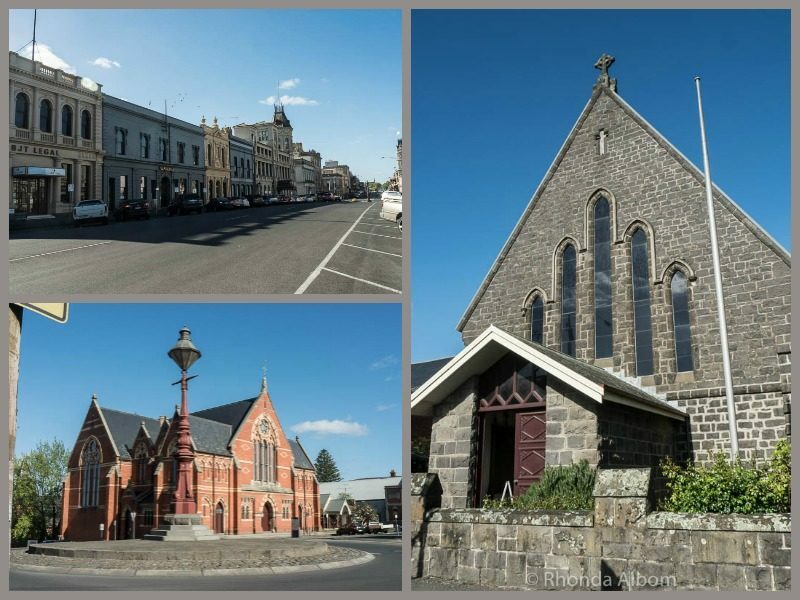 The provincial town of Ballarat was our final stop on the way back to Melbourne. 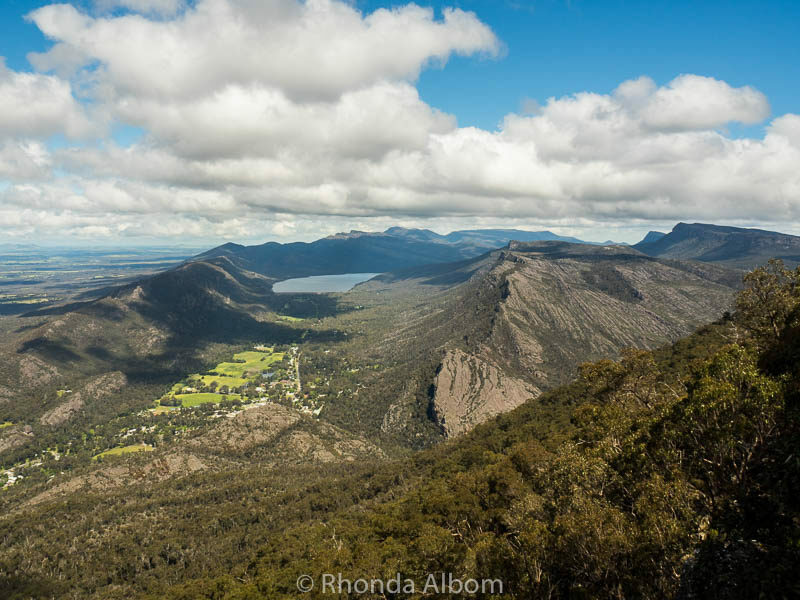 The Grampians National Park is located in Victoria and is comprised of rugged sandstone mountain ranges and forests. We barely touched on all the things to do in the Grampians. It is a popular holiday destination for camping, climbing, scenic drives, and bush walks. We stayed at the Kookaburra Motor Lodge in Hall’s Gap. Clean and tidy, it is centrally located, but the highlight for me was the kangaroos that were sunning themselves in the field just behind the hotel. Apparently, this is a normal activity for them. For more information on the Grampians visit the official national parks site. 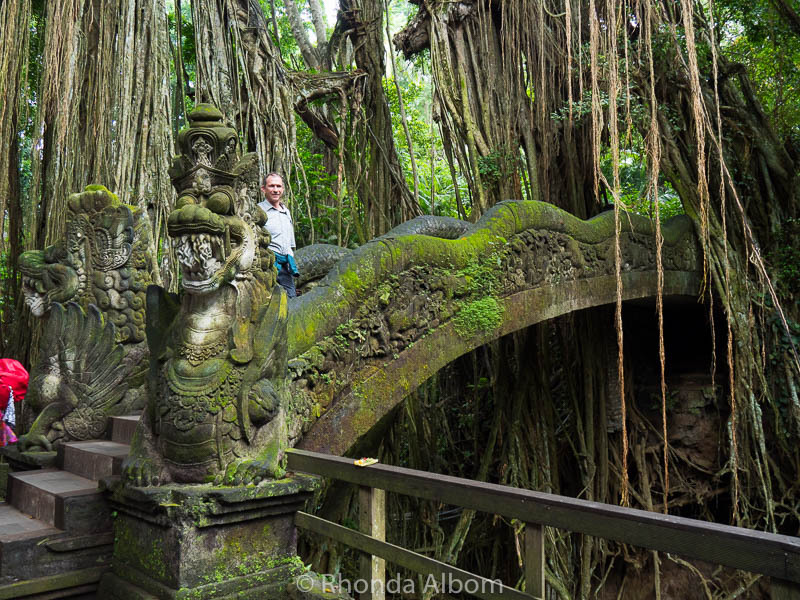 We used Lonely Planet – Australia to help guide our travels. 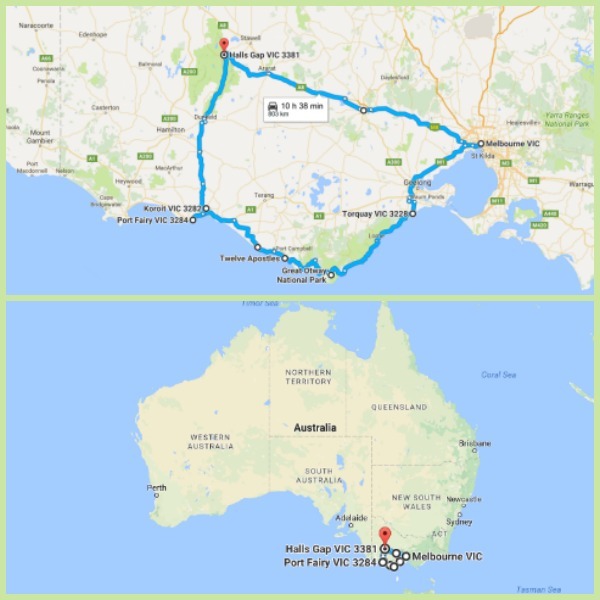 This is the fifth article in a series as we drove a loop from Melbourne along the Great Ocean Road to Port Fairy, then up to Halls Gap and the Grampians before heading back to Melbourne. Map showing the route we drove over five days. The marker is in Hall’s Gap in the Grampians. The bottom map shows what a small portion of Australia this covered. 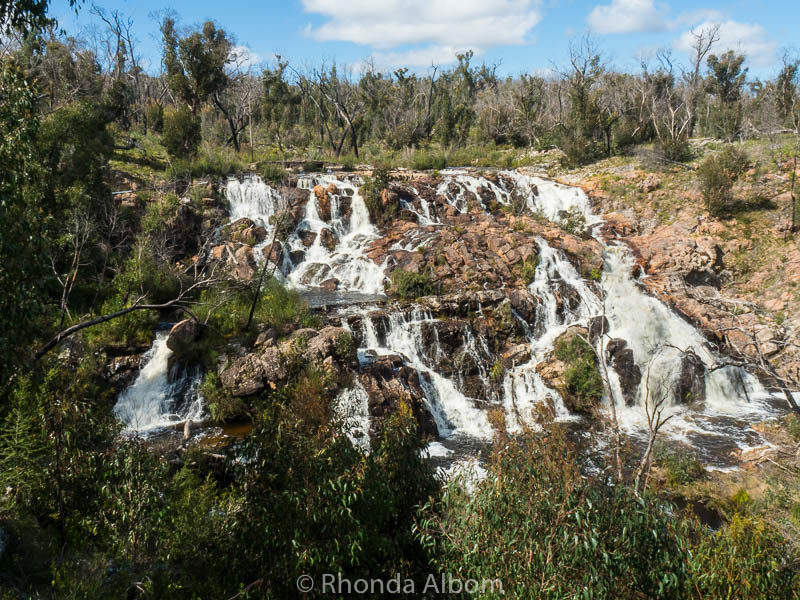 Kangaroos, skinks, birds, waterfalls or hiking, which part of the Grampians is your favourite? 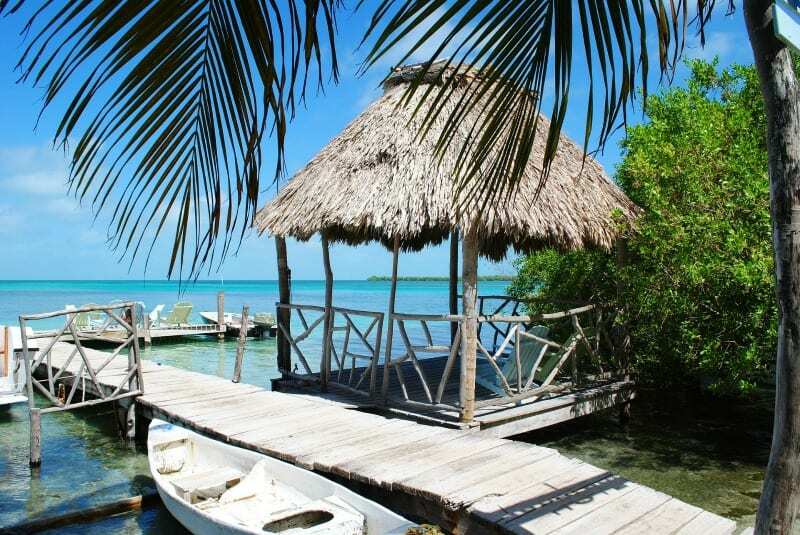 Disclaimer: We are frequently provided with a complimentary entry or other benefits. However, the opinions expressed here are strictly my own. Thanks. The Grampians are really special. Next time I will allocate more time. These are fantastic shots. You certainly found a lot to see! We just picked well on our destinations. Nature did most of the rest. How do you chose from all your wonderful photos? I think “Lounging Kangaroos” would make a great name for a band. I think it takes me longer to pair down the photos than to write the words. It’s a beautiful area, too often overlooked by visitors. Glad you have been too. Skink? Cool, but a little creepy! I actually said “Aww” before my scroll got down to where you wrote it for the ducklings! Beautiful photos as always! The ducks were cuties, but the skink was pretty cool tot. 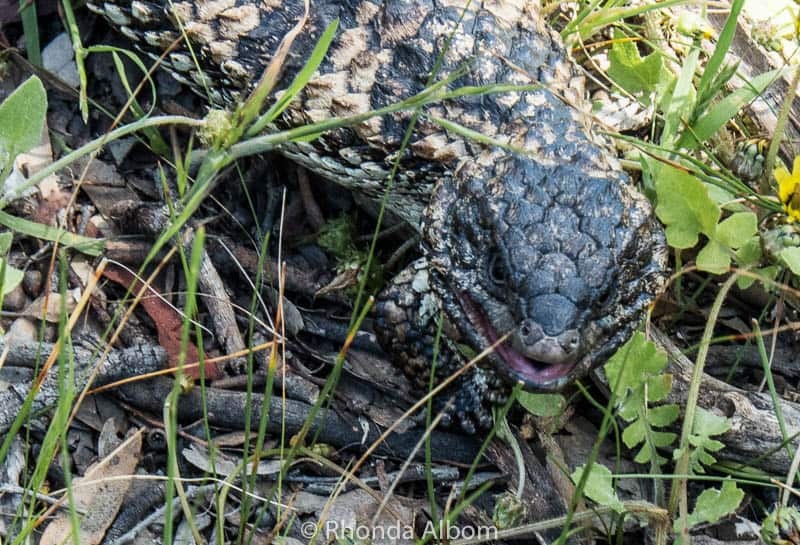 and I heard of Skinks before.. saw them on the Aussie Outback show with Tim Faulkner! Those were Wild ‘roos? or part of something at the hotel? Yep, those were wild kangaroos. They just hang out in the field but are free to come and go as they please. The fence in the back keeps them out of a different property, not into the one they are on. What a great trip you are having. I’ve not done the Grampians road trip, another one for one day! Merry Christmas to you and yours! Be sure to include the Great Ocean Road. Absolutely beautiful! What great scenery. I could do without the skink though. hahahaha I love the name of the road you had to take to get the view. I loved the name of the road too. Once we saw it wasn’t that bad, we had a good laugh over it. Have a wonderful Christmas Rhonda! Thanks Nulai. The ducklings were super cute. What great wildlife you saw! I have a blue-tongued skink in my school library and she is the most gentle scary-looking animal you ever saw. 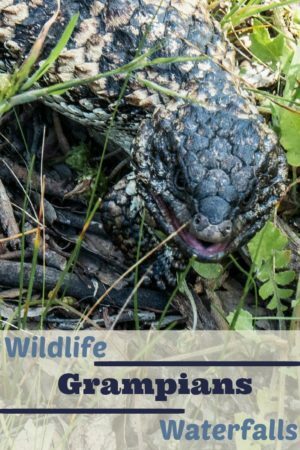 Australia is an amazing place to look for wildlife as so much of it is indigenous to the country and fascinating to the rest of us. What a fabulous place to grow up. I would love to be a kid with all of this in my backyard. What great pics and what a wonderful place to visit. Very nice. I do want to go there. I hope you do get a chance to do this loop. Remember to go slow and enjoy. Truth be told, that critter is kinda creepy looking. Hubby is a reptile fan. So much so he had two huge (4-foot) iguana’s when I met him, so I would never publically agree with you. The Bobtail skink looks both cool and scary! What a great find. He moved so slowly, he really wasn’t scary at all. Lovely shots – Merry Christmas! Every photo is stunning! Merry Christmas to you! What a fun adventure. I love anything with a view. Boroka Lookout jumped right out at me, so that’s my favorite. That lookout was really breathtaking. I hope you get to see it for yourself someday. What a view! That’s a lot to see in one area. Was the former lunatic asylum creepy? Thanks Alex. We did it over several days. J-Ward was quite creepy. I wrote a separate post about it here. Always enjoy your photos Rhonda completely different world to London heheh! This part of Australia would be completely opposite London. The cities would be more similar. It was settled by the Brits. Wonderful photos, each and every one. And you have a great eye to have seen that skink – they’re rather shy, at least here in the States. Stunning views and great photos. 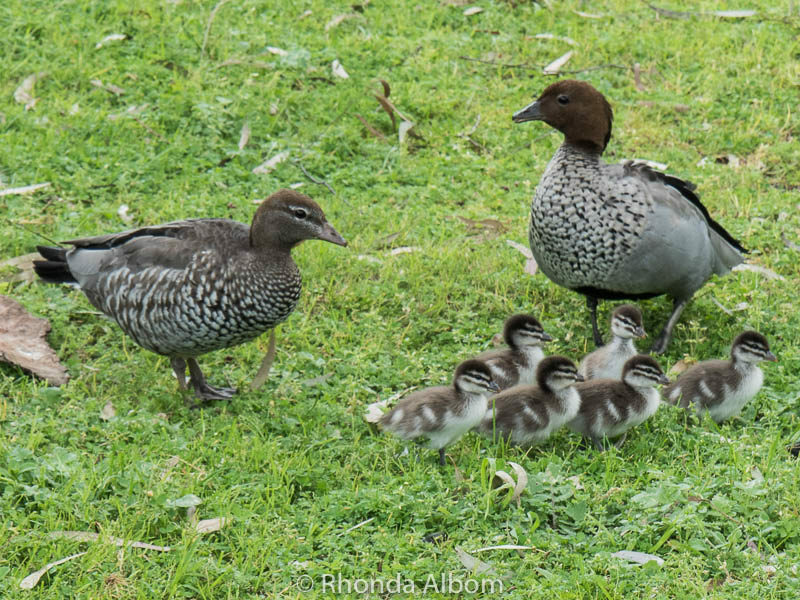 Love the Wood duck and babies. Thanks, and I am glad to know what type of ducks they are. That skink was such a cool find. As for family friends, I do hope you make it down under to meet them. And when you do, you have a map all routed out for you.